A rendering of Residential Commons at Barry’s Corner looking from Western Avenue. At first blush, Harvard University’s development plan seems like a straightforward campus expansion, with a mix of new academic and sports buildings that would create a nicer environment for students on the Boston side of the Charles River. 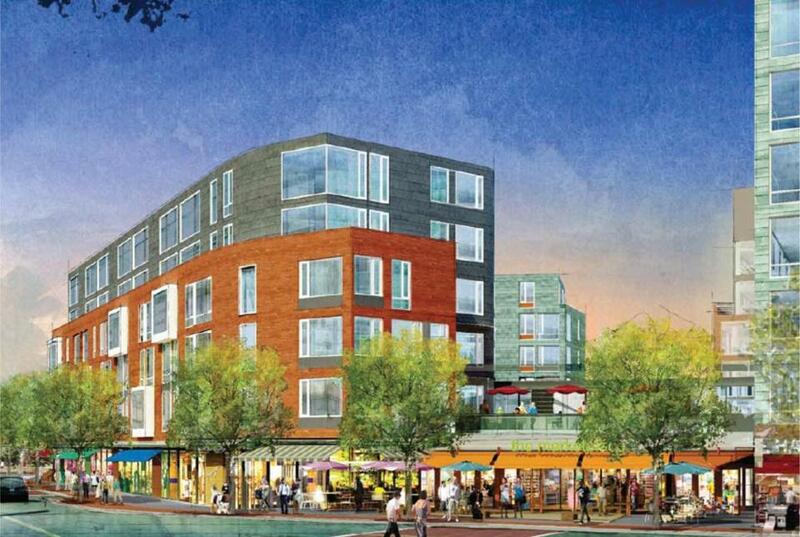 But within the pages of the document, filed with city regulators Friday, is a broader proposal to transform North Allston itself, bringing new shops, restaurants and residences that will help revitalize the nondescript area. The 67-page master plan places special emphasis on the redevelopment of Barry’s Corner, where the university wants to create a new commercial focal point for the neighborhood at the intersection of Western Avenue and North Harvard Street. “These projects will create an exciting plan for North Allston over the next decade,” said Harvard spokeswoman Christine Heenan. Of course, these are promises residents of North Allston have heard before. This time, Boston City Councilor Mark Ciommo said, the neighborhood is hopeful the university will follow through with actual construction. “Cautiously optimistic is probably the best way to put it,” said Ciommo, whose district includes North Allston. A copy of the university’s plan was released Friday by the Boston Redevelopment Authority, adding further detail to an outline that emerged last week. Overall, it proposes nine renovation and construction projects to proceed over the next decade. In addition, Harvard intends to resume construction by 2014 of a four-building science complex on Western Avenue and a mixed-use development at Barry’s Corner that would include up to 400 apartments and retail stores. Also on Friday, the university filed a separate proposal to renovate the Bright Hockey Center and Gordon Indoor Track, and redevelop a cluster of warehouses on Travis and Seattle streets for the university’s police training facilities and other administrative uses. If construction proceeds as planned, parts of North Allston will change substantially over the next several years. In addition to the shops, residences, and sports facilities, the neighborhood will get new landscaping and roadworks such as bicycle lanes and walking paths, wider sidewalks, new streets to improve circulation, and more parking. ■ A new 3,000-seat basketball stadium in Barry’s Corner that will include better concessions and athletic offices. The site of the new arena is large enough to incorporate an additional 140,000-square-foot complex that could include some combination of housing, retail stores, and offices. ■ The dilapidated Charlesview residential complex on North Harvard Street — which is being relocated in 2014 — will be redeveloped into a 200,000-square-foot center for academic or administrative offices, with retail shops on the ground floor. The project includes an outdoor space for informal music performances and other community events. ■ A 250,000-square-foot hotel and conference center near the Charles River on Western Avenue. Harvard has not determined who will run the hotel or whether it will cater primarily to university events or be used for a broader range of meetings and activities. ■ The Harvard football stadium will be renovated to include new offices, press box, and a 350-seat section for club seating. The university’s business school campus will also get three new buildings, and Baker Hall will be renovated.